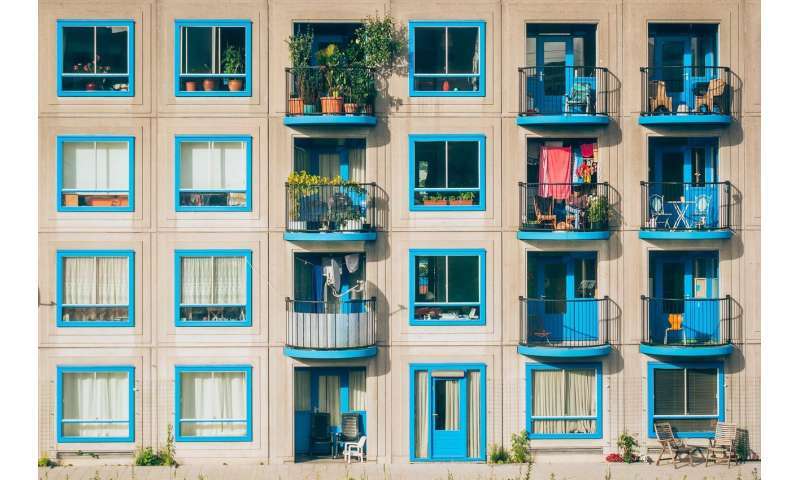 New research, led by the University of Portsmouth, could help decision makers make more effective choices when designing social housing initiatives. Using the concept of 'choice architecture' the researchers have developed a new tool for decision makers to help them make the best decisions when tackling problems presenting a high number of alternatives or criteria. Choice architecture is the design of different ways in which choices can be presented to consumers, and the impact of that presentation on consumer decision-making. In the field of social housing for example, buildings must have low construction and operation costs, they have to be sustainable from an economic, energy and social point of view, the services that they offer have to take into account the needs of the inhabitants and they should be easily usable. However, the decision maker has to also consider how to ensure a sufficient level of profitability for a social operation attracting private investments and how to evaluate the effectiveness of the building and the satisfaction of occupants. In order to help the decision maker to handle all this information, the researchers have developed Multicriteria Decision Aiding methodology that structures, process and aggregates the information collected, in a simple and understandable way. The new method is based on two current methods used for organising and analysing complex decisions – Analytical Hierarchy Process (AHP) and the Non-Additive Robust Ordinal Regression (NAROR). The new method assigns a value (using AHP) to the performances of all criteria to determine the importance and the interaction of criteria (using NAROR) taking into account all the possible values for the preference parameters compatible with the preference information supplied by the decision maker. The lead author of the study, Professor Alessio Ishizaka said: "Choice architecture influences decision making by simplifying the presentation of options, by evoking particular associations, or by making one option more salient or easier to choose than the alternatives. This transparent, fair and documented outcome provides decision makers with an efficient and fully explainable decision." The Multicriteria Decision Aiding methodology was tested on 21 Social Housing initiatives in the Piedmont region of Italy. Professor Ishizaka added: "This was a replicate of a previous decision with a simple point system. By working closely with decision makers, they found our method much more precise, well-structured and easy to understand for the stakeholders, and will consider it for use in future decision processes. The study, which also involved researchers from the University of Catania and the Department of Regional and Urban Studies and Planning (DIST) in Italy, is published in the November issue of the journal Land Use Policy.